Soup. Soup can be quite a boring dish, but when prepared well and with the right spices it can be a unique experience. Especially Asian soups with lots of spices and interesting ingredients are something that many people, me included, are crazy about. This place, located in the heart of Brussels, doesn’t have a very nice interior and the people working there are, well…not very friendly I’d say. But it doesn’t matter, because it’s the soups that you should focus on and even more important, the noodles. 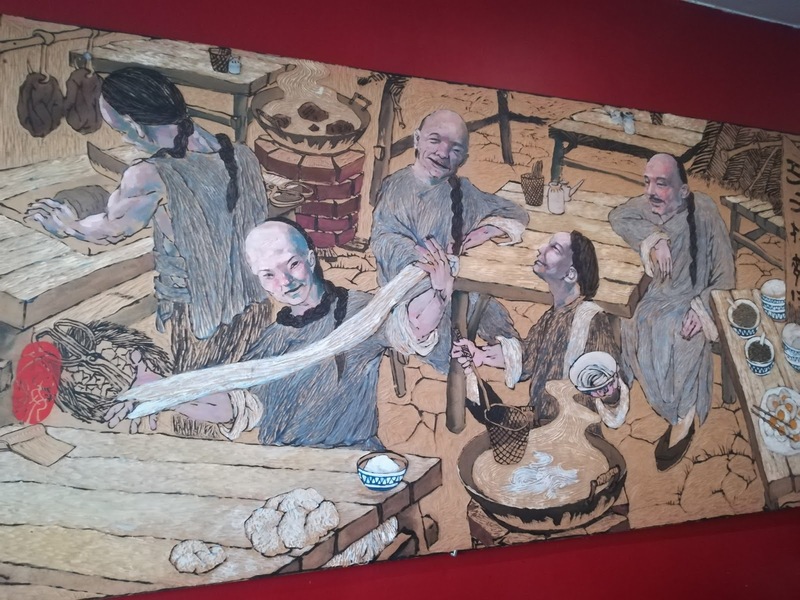 Their noodles are freshly handmade in front of you. 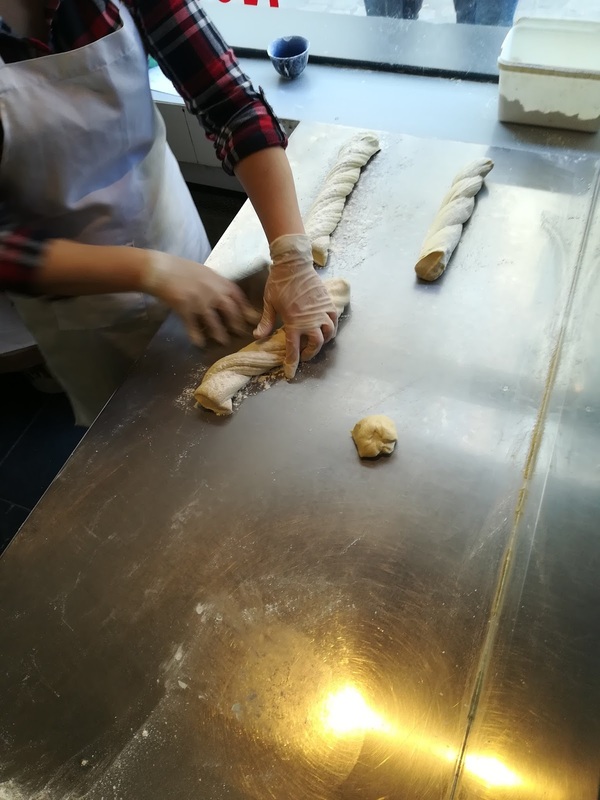 Just at the entrance of the restaurant with very minimalistic and almost non-existent decoration, is a person kneading the dough, folding and twisting it into a long roll. The roll is then cut into several pieces and what follows is a real show. The dough is stretched and folded and stretched and folded until long thin noodles are formed. They disappear into a big pot of boiling water, just to re-appear in your bowl some few minutes later. You can order different types of ingredients; you don’t like meat? – go for the veggie option. You do like meat? – try the beef, chicken or crispy duck breast as a topping. 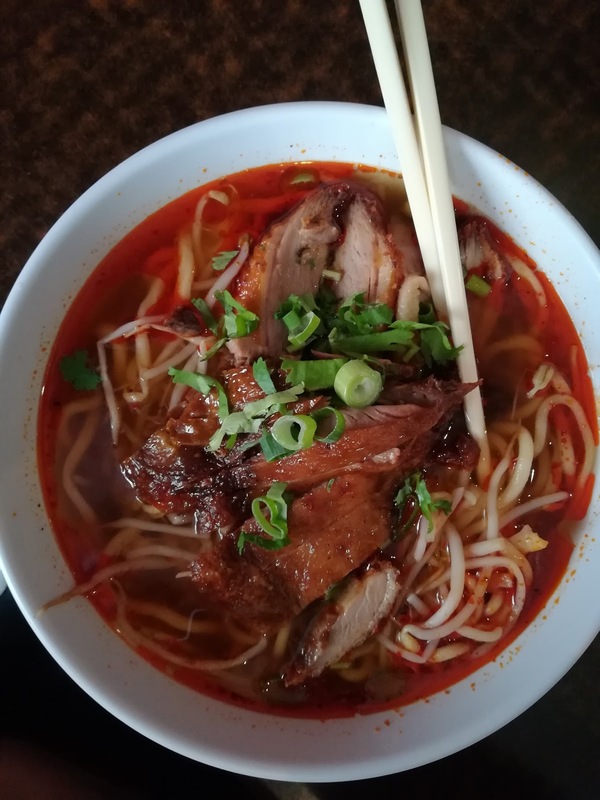 If you fancy spicy stuff, choose the spicy broth and if not just go regular. You can also finish off your soup with soy sauce or more chili, all available at your table. And then the slurping begins. Try to fetch the noodles with your chopsticks and since they’re quite long I would advise you not to wear a white shirt, because it can get messy. But they’re delicious and the soups are full of taste, spiced with loads of chili, cilantro and lime. It’s a great place for a very casual dinner with friends, a hangover Sunday or just a quick snack when visiting the city center. Don’t expect too much from the place, but expect to have a nice meal.